Treatment options in the medical field seem to constantly be evolving as more and more information surfaces about the world around us and what she has to offer us. Mother Nature has offered her bounty for centuries to assist medical researchers in finding new ways to help heal those who suffer from painful conditions such as diabetes, cancer, autoimmune diseases etc. 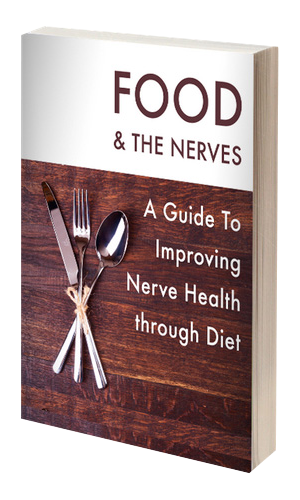 In recent years new information about our bodies and the natural substances that form within our bodies can help relieve nerve pain felt by neuropathic suffers. Doctors are prescribing certain Vitamin B supplements to assist their neuropathy patients and have been for a few years now. A new trend that has found its way onto the list of preferred supplements is Alpha Lipoic Acid. Alpha Lipoic Acid is a powerful antioxidant that is found in every cell of our bodies helping our bodies turn glucose into energy. Antioxidants are important to the body due the important job they have of attacking and killing the free radicals that roam throughout the body causing harm and in the case of neuropathy suffers nerve pain. Free radicals create harmful chemical reactions in the body that can cause the body to be unable to fight off illness. Alpha Lipoic Acid is naturally designed to be both fat and water soluble giving it the liberty to move throughout the body with ease attacking free radicals that can cause neuropathy suffers so much pain. The power that Alpha Lipoic Acid has in protecting the body from free radicals makes Alpha Lipoic Acid a form of intrigue for scientist and doctors that have been searching for safe and natural cures for thousands of conditions such as: neuropathy, carpel tunnel, diabetes, brain function and those who have experienced a stroke. Neuropathy patients that have been prescribed Alpha Lipoic Acid as part of their neuropathy treatment plan have found great improvement with their nerve pain. Reports have even been made of some neuropathy patients finding complete freedom from pain with the help of Alpha Lipoic Acid and other natural substances such as Benfotiamine and other B vitamins. Research is constantly evolving and for those seeking nerve pain reliefs speak with your doctor about the possible use of Alpha Lipoic Acid in treating your nerve pain symptoms.